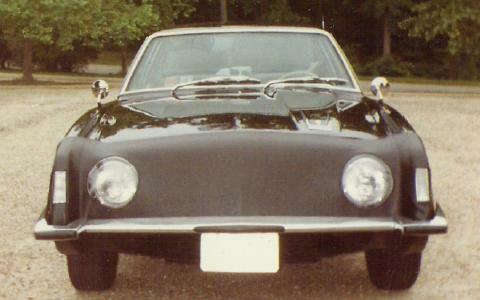 These pictures of Bobby Ballance's 1963 Avanti were taken at the Colonial Virginia Meet in Yorktown several years ago. 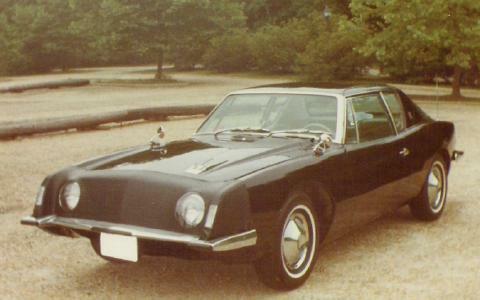 The Avanti was the last Raymond Loewy design produced by Studebaker. The base engine was a Studebaker 289 with a three-quarter race cam, four barrel carburator, dual exhausts, and other modifications. A supercharged version of this engine was optional but could not be ordered with air conditioning thus limiting its appeal. The only significant styling modification to the Avanti was the change to square headlights for 1964. Most Avantis were equipped with the innovative Powershift automatic transmission which was designed to be shifted manually if the driver so desired. Manual transmissions were also available but relatively few Avantis were so equipped. The Avanti used a fiberglass body so it is not prone to fender rust as are most other Studebakers. Avantis set a number of stock car records at Bonneville as part of an aggressive advertising and publicty campaign. 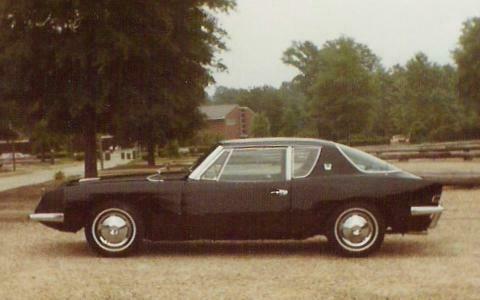 Studebaker built a total of 4,643 Avantis before production ended. Here is a front view of Bobby's sharp Avanti. The vinyl hood bra is to protect the fiberglass hood against stone chips. 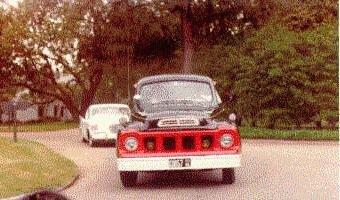 Bobby took this picture of a Studebaker C Cab Pickup through the back window of his Avanti during the Colonial Virginia Meet. These pictures were taken in 1965 at an early Studebaker Drivers Club gathering held at a Studebaker dealership on Long Island. 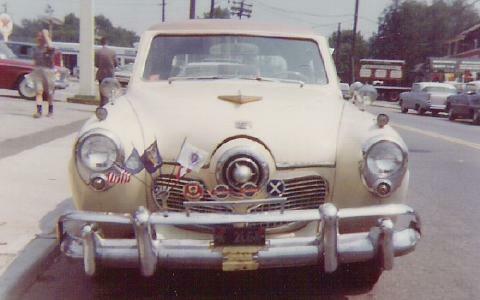 Studebakers featured a "bullet nose" design in 1950 and 1951 and most people instantly recognize these models as Studebakers. The 1951 model used a plastic bullet that was somewhat smaller that the metal one used in 1950. The 1965 Commander looked the same as the equivalent 1964 model but used Chevrolet engines supplied by McKinnon Industries of Ontario, Canada. 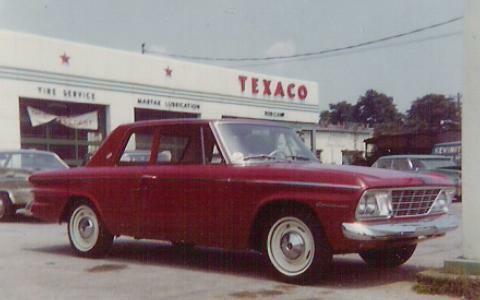 Studebaker only produced sedans and wagons for the 1965 model year. The last Hawks and Studebaker Avantis were assembled in December 1963 as 1964 models. Articles containing information about Studebaker, plus some Stude toys. A Brief Discussion of Postwar Studebaker Engines. A primer on Studebaker engines, including some personal observations. Books About Studebaker. A listing of books about Studebaker, both in and out of print, with short reviews and comments. Studebaker Toys and Model Kits. A discussion of Studebaker toys and models that are not overly expensive to acquire.